If a chipped tooth is giving you pain or causing problems when you eat, Green Dental of Alexandria can repair the tooth at our office. When a chipped tooth is left untreated, it can cause problems with your bite, and lead to decay or infection. At Green Dental, we provide quick and long-lasting treatment options for chipped teeth. Your dentist will decide on the best general dental treatment for you, based on the extent of damage to the tooth. When chips in the tooth are cosmetic, we would still recommend having the damage repaired to protect the tooth. Cosmetic damage to the tooth can also aid discoloration, leaving you with a smile that has lost its luster. Green Dental can restore your confidence in your smile by providing expert repairs for chipped teeth. 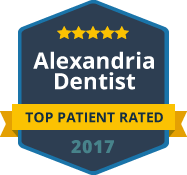 We welcome patients from Alexandria, VA, and surrounding areas to book an appointment for an experience in dental excellence. Green Dental carries out repairs on cracked or broken teeth. When you have cracked or broken teeth, your smile and the function of your teeth are affected. We have had patients who lost job opportunities and speaking engagements due to broken teeth. Green Dental will give you the confidence you need to pursue any career you want, without feeling paranoid about your smile. Alexandria, VA, patients can rely on Green Dental for cosmetic and restorative treatments to cracked or broken teeth. We will always choose the most suitable treatments at Green Dental, ensuring our patients’ smiles always shine bright and healthy. In many cases, Green Dental can even provide you with emergency dental repairs if you have an important event you don’t want to miss. Reach out to Green Dental for all your Alexandria, VA, chipped, cracked or broken teeth repairs. Contact our office today to schedule your appointment. We look forward to providing you with all the treatments you need.